Rick Snyder, Governing magazine award-winner. Michigan Gov. 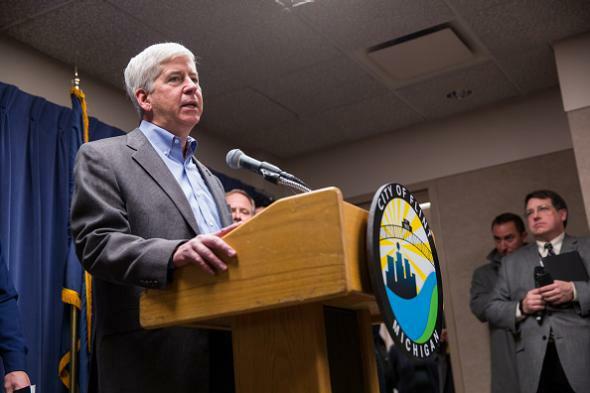 Rick Snyder at Flint City Hall on Jan. 27, 2016. Well … I guess it’s certainly true that not everything he tried was successful. Past recipients of Governing magazine awards include Eliot Spitzer (really!) and the Hindenburg, which was named 1936’s “Least Flammable Blimp” (not really).